The insanely talented Tiina Laakkonen has had some truly incredible opportunities and big breaks throughout her styling career. The fashion maven started out her journey as an intern at the most respected haute couture house in the world. While other aspiring fashion starlets ran the halls of their local Macy's and Forever 21, Tiina was interacting with the elite crowd of fashion experts at the always posh, Chanel. That's right, Chanel. As in the greatest internship a girl could possibly dream of. 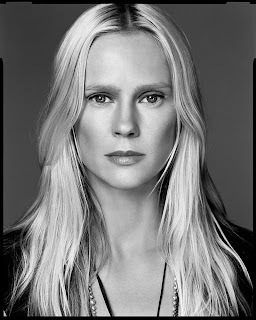 For three ridiculously amazing years Tiina worked under the legendary Karl Lagerfeld. She even worked at the world renowned Lanvin for a short time. Jealous yet? Tiina's first break into the life of a stylist came while working for British Vogue. She was given the opportunity to style her first shoot and the rest is fash history. 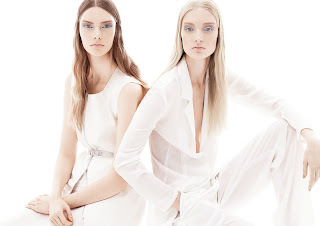 Tiina's most recent work is styling the incredibly beautiful Nicole Farhi Spring/Summer 2011 ad campaign. She was also the fashion editor and stylist for Monique Lhuillier's Fall/Winter 2011 runway show. If you're not already dying to be in her shoes for a day, she also has a never ending list of styling credits in Vogue China and The New York Times Magazine. Tiina is without a doubt a high fashion stylist with an eye like no other. Her print work styling is beyond uh-mazing, her journey from intern to runway defines ambitious, and her resume speaks volumes for her fashion genius. She also styled the beyond major doll like photo shoot with little country Princess, Taylor Swift for The NY Times Magazine and has been a long time stylist for the always classic, Carrie Mulligan. Check out some of her incredible work below. There's so many amazing pictures, it was so hard to pick my favorites. Enjoy. Best shoot of Taylor's life. The Taylor's Swift photo shoot is awesome. She really looks like a doll, and the make up fits her perfectly. I have given you the Kreativ Blogger Award! These are truly amazing - love the Nicole Farhi campaign and Penelope Cruz looks gorgeous. I just found your blog, and I think it's totally stylish. I'm following you now, please come see me sometime - I hope you'll do the same. Thanks so much. Amazing story. I can't imagine being an intern for Chanel. Wow.. Thank You for this interesting post! Her Vogue China Credits are amazing and I love love love Carrie Mulligan's style by Tina! insanely jealous! she's gorgeous and has been incredibly fortunate. love that taylor swift spread- that's the coolest she's ever looked in a magazine. The Nicole ad's are to die. Great post. Really like Nat's cover. Great pictures. is that taylor swift?! she looks gorgeous!! 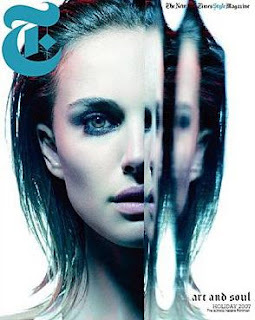 Love the NY Times style covers gorgeous. Love the Taylor Swift images!